Pork bellies are used to make bacon. 1. What Is RSI in the Stock Market? For most people, the market for pork bellies was little more than a punch line to a joke about the absurdities of the financial industry. As bizarre as it sounded, these cuts of pork were traded as commodities on the futures market, with a handful of traders buying and selling futures contracts based upon nothing more than slices of meat you could find at many butchers’ shops. In the history of the U.S. stock market, pork bellies were cuts of meat that were traded as futures through 2011. As a traded commodity, pork bellies were exactly what their name implied: cuts of meat taken from pigs’ stomachs. Because these fatty cuts could be used to make bacon and were being produced year-round, traders began purchasing, freezing and warehousing pork bellies during the winter, when demand for bacon was traditionally lower, and selling them in the summer when consumers had a taste for bacon and its price was higher. This commodity, sold on the futures market, was the basis for pork belly trading. 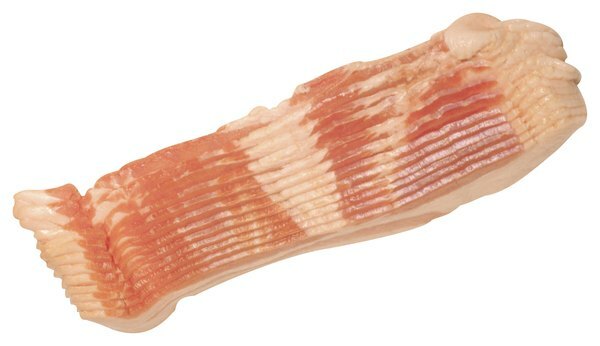 Because pork bellies were an unprocessed good that meatpacking plants were able to use to make bacon and other products, they began selling as commodities. As with all commodities, they were traded in standardized units: In this case, a unit consisted of 40,000-pound frozen slabs made up of eight- to 18-pound individual cuts of meat. This standardized contract allowed slaughterhouses, traders and food manufacturers an easy reference point to buy and sell mass quantities of pork bellies efficiently. Pork bellies could be frozen for up to a year, so meatpackers began turning to the commodity to help smooth out production costs, which could fluctuate wildly with agricultural production. Traders began purchasing agreements to sell standardized lots of pork bellies in the future, attempting to maximize profits by purchasing pork bellies when costs were low due to decreased demand or increased production and selling them when prices rose again. Trading in pork belly futures began on the Chicago Mercantile Exchange in 1961. Consumers’ eating habits and taste for bacon didn’t remain constant, however. Where demand for pork bellies traditionally rose during the grilling season, bacon became a much more prevalent part of the American diet, appearing on hamburgers and in salads. Because of this, volatility – essentially an expression of how unpredictable prices were – made trading in pork belly futures too risky for most traders, and volume of the futures slowly declined. In 2011, the Chicago Mercantile Exchange de-listed pork belly futures due to low trading volumes.